Mahmoud Issa said, stressing the need for Muslim countries to form their own economic bloc to be more effective in the new world order. Global economy is facing great challenges that can very well re-outline the world economic map, Industry Minister Mahmoud Issa said, stressing the need for Muslim countries to form their own economic bloc to be more effective in the new world order. This is particularly important now that growth rates in Muslim developing countries, such as Egypt, Turkey, Malaysia and Indonesia, are increasing. Issa, in his speech at the 27th session of the Committee for Economic and Commercial Cooperation of the Organization of Islamic Cooperation (COMCEC) in Istanbul, said the Egyptian economy is going through a transitional phase during which growth levels could shrink temporarily. 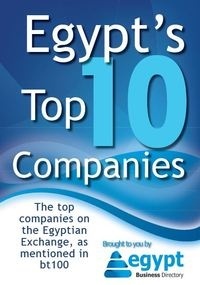 He added, in his speech that was handed out by his office in Cairo that this phase will set the stage for an Egyptian economy based on the principles of transparency, accountability, social justice and democracy; all of which will help create an investment-friendly climate that will positively affect growth rates in Egypt. The private sector is a main player in turning agreed cooperation policies into facts on the ground, the minister said. Egypt, he added, is keen on boosting cooperation with members of the Organization of Islamic Cooperation in the fields of energy, technology, water and banking. The 27th session of COMCEC opened in Istanbul on October 17 and lasts until tomorrow.